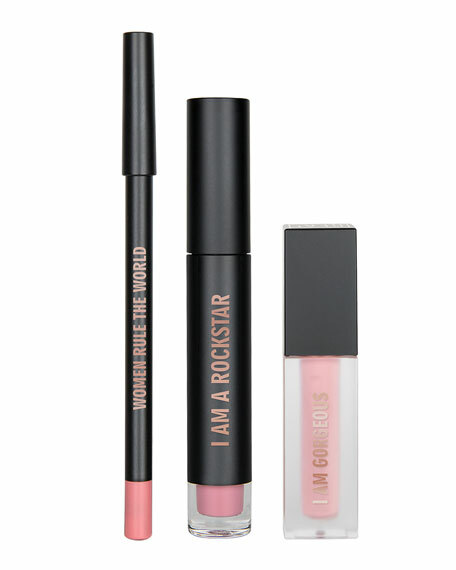 Our Specially Made, Most Popular Lip Kit containsMatte Liquid Lipstick, Lip Plumping Lip Gloss, and Lip Liner. Will provide fuller, more voluptuous lips. Trace the curves of your natural lip line starting at the outer corner - move toward the center connect lines as you go. Apply liquid lipstick to bare lips with wand. 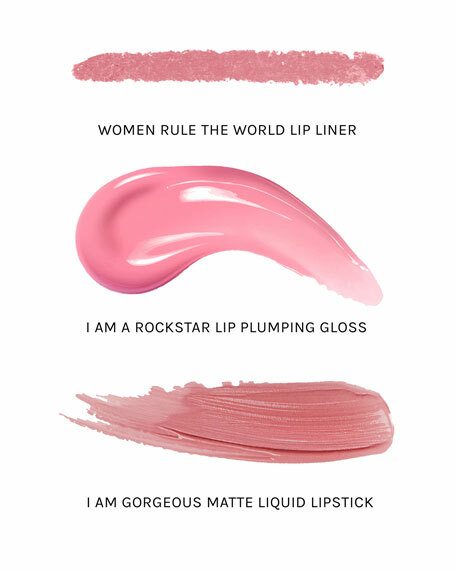 Layer it over your favorite lip color. Hyaluronic acid, Shea Butter, Jojoba Seed Oil, Tripeptides, and Vitamin E.